The new FVAi/FVDi digital benchtop microscopes are the ideal inspection solution for fiber connector production by giving users a single system that is scalable to optimize throughput at any stage of the production process. With onboard capabilities for inspection, pass/fail image analysis, and storage, they eliminate the need to connect with an external PC. In addition, the integrated 3.5 in LCD video display gives users full control of the device without the need for an external monitor. 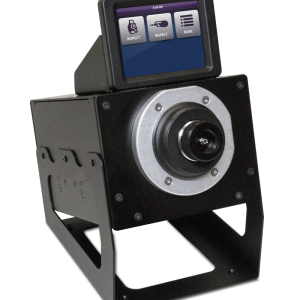 While the FVDi provides dedicated manual focus, the FVAi has both manual and auto-focus capabilities that can significantly optimize workflow efficiency on the production floor. From post-polish qualification inspection to end-of-line compliance certification, the FVAi/FVDi microscopes are the ideal benchtop inspection solution for any fiber production facility.